Like many other marine creatures, many fish types are extremely dangerous. They can attack people in the waters and harm them badly. Here is the list of the top 10 known dangerous types of fish. This large species of catfish is also called sheatfish and is mostly found in the Eastern, Central, and the Southern Europe. It has a flat and broad face with a wide mouth. Their lifespan is 50 years or so. 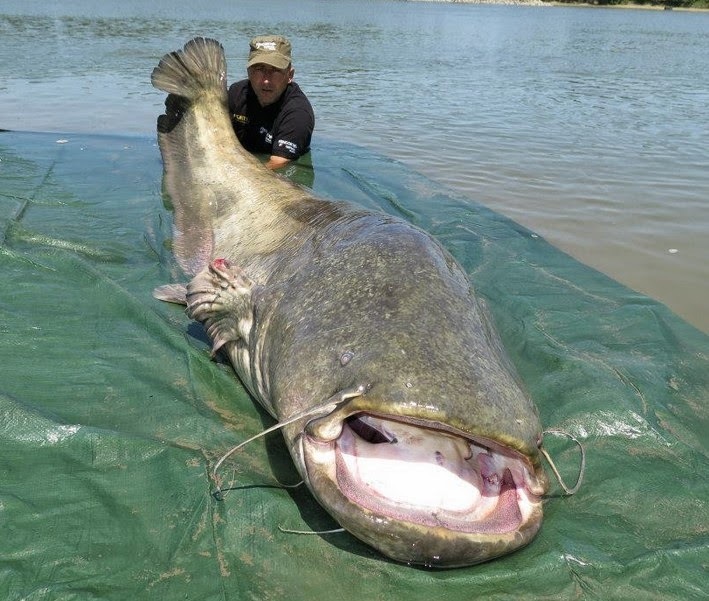 The wels catfish has a very high sense of hearing but poor eyesight. The fish is very aggressive when attacking. Its sharp teeth can tear you down into pieces in a short while. Apart from attacking humans, the wels catfish also feed on frogs, other fishes, and seabirds.